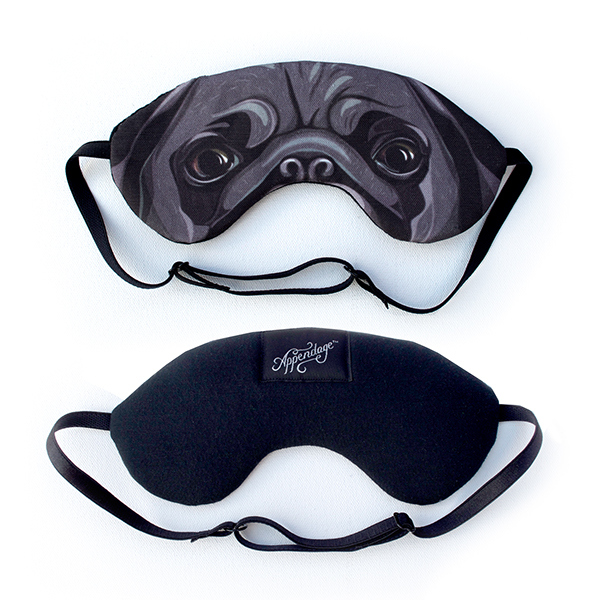 Pug Sleep Mask is perfect for any pug lover! The mask face is hand drawn and printed onto a canvas fabric. Your face will be cozy with the high quality soft jersey fabric touching it. It has a foam lining, making the mask breathable. The mask strap is adjustable so you can customize it to your comfortable fit. Sleep Masks are perfect for taking a nap on the plane, on a long car ride, or to defeat the early morning sun when camping. You can get the sleep you need, and stay asleep longer. 8" wide X 3.5" tall Also available with in Fawn.